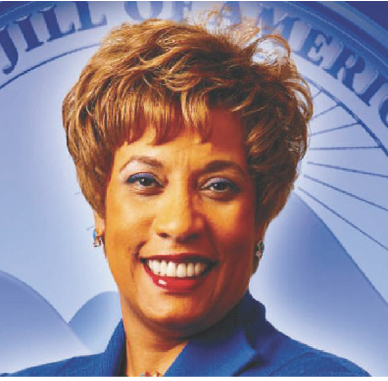 Jacqueline Moore Bowles – 21st National President, Jack and Jill of America, Inc. The Milwaukee Chapter is honored to have among its members, Jacqueline Moore Bowles, immediate past President of the Jack and Jill of America Foundation and the 21st National President of Jack and Jill of America, Inc (2006-2010). Jacque served two-terms as the Milwaukee Chapter President (1999-2003), Vice-President and Program Chair. In 2003, she was elected to the position of Regional Secretary-Treasurer for the Mid-Western Region, and then appointed to fill the vacancy of Regional Director. In 2005, she was elected as the region’s National Endorsed Candidate which resulted in the election to her post as National President in 2006. She was reelected by unanimous vote as National President in 2008 and now, as a Lifetime Associate member, has continued to serve this organization in her role as President of the Jack and Jill of America Foundation. Jacque is married to John Bowles Sr and they are the proud parents of two wonderful sons who have legacy status in Jack and Jill of America, Inc.; John Bowles, II and David Bowles. I must point out my gratitude for your generosity for individuals that need assistance with this subject. Your very own commitment to passing the message all-around appeared to be especially good and have usually enabled women like me to get to their goals. The warm and friendly tutorial implies a lot a person like me and far more to my mates. Best wishes; from everyone of us. I in addition to my buddies were following the great guidelines located on your website then immediately developed a horrible suspicion I never expressed respect to the web blog owner for those strategies. All of the people came so happy to learn all of them and already have seriously been taking pleasure in those things. Appreciate your really being really kind as well as for having some nice useful guides most people are really desperate to know about. My personal honest regret for not saying thanks to sooner. I simply wanted to compose a quick remark in order to thank you for all the wonderful tips you are giving out at this website. My time consuming internet research has finally been recognized with sensible facts to write about with my partners. I ‘d state that that we website visitors actually are extremely lucky to be in a really good place with so many awesome professionals with very helpful pointers. I feel truly fortunate to have discovered your entire website and look forward to many more enjoyable times reading here. Thank you once more for a lot of things.